of students indicate the additional financial burden associated with studying abroad to be a (big) obstacle. On March 27th, the EUROSTUDENT Steering Board met in the German Federal Ministry of Education and Research to discuss the project progress, financial and annual reports, and the future of EUROSTUDENT after 2021. 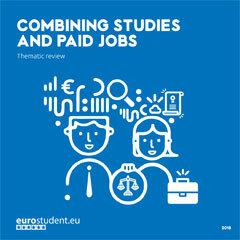 EUROSTUDENT publishes several different types of reports. The latest reports stem from the sixth round of the project (2016-2018). The Synopsis of Indicators offers a full overview of all topics and indicators, whereas the Thematic Review and Short Report are shorter publications focusing on a single topic, or fewer indicators. 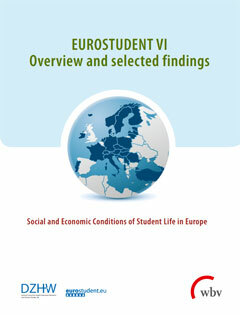 EUROSTUDENT Intelligence Briefs provide analyses on a single question of interest. How do students live in the EUROSTUDENT countries? On cross-country average, 36 % of students live with their parents or guardian. 18 % live in student accommodation, 21 % live with partner/children, and 15 % of students live together with others (outside of student accommodation). Living alone (outside of student accommodation) is the least common housing situation in the EUROSTUDENT countries: on cross-country average, only 10 % of students do not share their living space. Living with parents is particularly widespread in Malta, Italy, Georgia, Albania, and Croatia, where more than half of all students live this way. In contrast, this form of housing is not very common in Sweden, Norway, Denmark, and Finland. There, no more than 13 % of all students live with parents, instead the largest share of students lives with partner/children. The use of the parental home as housing form differs also by students’ parents’ financial status. In more than 90 % of countries, students from well-off families more frequently live with their parents while studying compared to their less well-off peers. 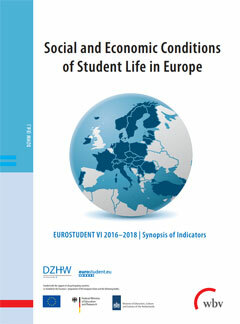 Through almost two decades of EUROSTUDENT surveys, we have gained a better understanding of our students’ social characteristics, economic, and study conditions indicating significant changes in students’ composition. Understanding these changes is fundamental to having the ability to ensure accessibility to higher education. Funded with the support of all participating countries. Co-funded by the Erasmus+ programme of the European Union and the following bodies. The funders are not responsible for the content.